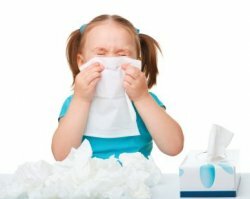 Can My Vacuum Help Relieve Allergy Symptoms? Allergens are often so tiny you may not realize that they are collecting in your carpet, furniture, mattresses and other small nooks and crannies in your home. Fortunately, a good vacuum can be invaluable for getting rid of allergens and providing relief to allergy and asthma suffers. The best vacuums for allergy suffers must have a strong beater bar, and a high quality HEPA filter. HEPA is an acronym for High Efficiency Particulate Air and is a type of filter that can trap very tiny particles and keep them from recirculating back into the air. Because this filter is so effective at screening out air impurities, most experts recommend replacing it often. You should also check the belt and bag regularly . An overfull vacuum bag is less efficient at removing indoor allergens. As the bag over-fills, suction is compromised. Always empty or throw away you vacuum bags outside to avoid recontaminating the air in your home. Let the vacuum cleaning experts at AAA Sew Vac East help you choose the best vacuum cleaner to remove irritating allergens from your home. Contact us to see how we can help.